When it comes to Hollywood, movie sequels often fall flat when compared to their earlier versions. 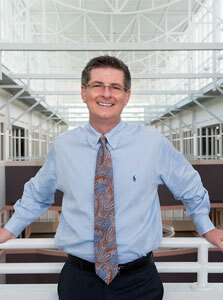 Not so for a new white paper from the Small Business Association of Michigan (SBAM). The backstory: In 2010 SBAM commissioned a study on Michigan’s declining economy. The report made a clear case for “economic gardening” (supporting small, existing growth businesses) as a strategy to balance Michigan’s historical emphasis on “hunting” (offering hefty incentives to recruit large companies from outside the state). It also outlined a formal Economic Gardening program that would provide growth-oriented local businesses with customized, strategic information to help them continue to scale. Fast forward to SBAM’s 2018 white paper, which was released June 6. 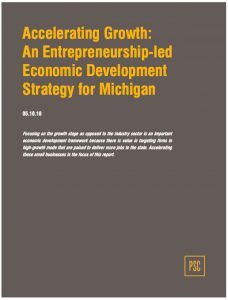 Prepared by Public Sector Consultants, the new paper takes a look at Michigan’s economic progress in the past seven years, along with best practices in economic gardening — now renamed entrepreneurship-led economic development (ELED). In a nutshell, the report acknowledges that Michigan’s economy has improved dramatically, but there’s still work to be done. More important, it lays out a call to action. The paper reaffirms the case for supporting second-stage businesses (those with 10 to 99 employees and $1 million to $50 million in annual revenue), which are the work horses of job creation. Indeed, in 2016 second-stage businesses generated 41 percent of all Michigan jobs compared to less than 13 percent at large companies. It evaluates ELED initiatives in other states and identifies best practices for investing in second-stage companies. The researchers interviewed both second-stage entrepreneurs and leaders of support organizations to pinpoint what kind of services are still needed to accelerate growth. Albeit this is a minor point, I really like the modified nomenclature. ELED not only avoids confusion with the Economic Gardening programs, but also provides a more comprehensive description of this economic-growth strategy. The report makes several policy recommendations, and there are three broad categories I particularly support. The first is a clear elevation of ELED in the governor’s office. This includes a cabinet-level position, an advisory board of business owners appointed by the governor, and single points of contact in every state department to guide business owners through regulations and to appropriate programs. The second set of recommendations revolve around accelerating initial support services for second-stagers, which includes refining and expanding the state’s existing Economic Gardening program. And the third policy bucket revolves around re-engaging graduates of those initial support services. For example, the graduates would be able to tap CEO roundtables, mentoring initiatives, and match-making programs with consultants. The newly launched MCSB falls in this third bucket of recommendations. MCSB partners have created a cohesive package of services to expedite growth for second-stage companies — services that are initially being offered to Michigan 50 Companies to Watch honorees and MCSB awardees. The Edward Lowe Foundation has been in the ELED space for a long time and heartily endorses SBAM’s new report. There’s a lot of support for startups and large companies, but second-stage businesses tend to be overlooked. If SBAM’s recommendations are fully implemented, it could position Michigan as a premier provider of ELED services. The report suggests programs that would accelerate small-business growth in way that no other state has done — and would enable Michigan to touch more companies. And, in light of Michigan’s upcoming gubernatorial election, the timing is right.